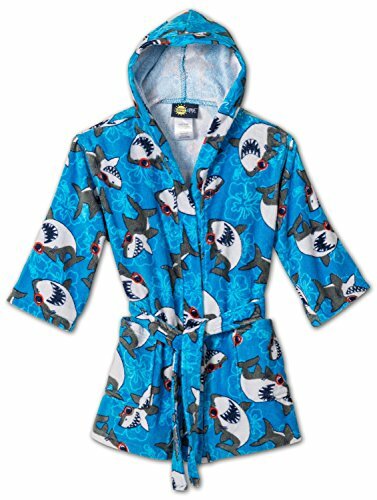 Splish Splash & Me boys beach/bath hooded robes are fun cover-ups for use after a bath, the beach or pool. Made of absorbent 100% cotton with fun vibrant graphics. They are perfect for home or the outdoors.